SUNG GWANG UNITECH CO., LTD.
DAEHWA ENGINEERING & MACHINERY CO., LTD.
Kang Dong Tech Co., Ltd.
DONGYANG S �TEC Co., Ltd.
GnG Gas Tech Co., Ltd.
Jeong Won Engineering Co., Ltd.
Daejeon has the advantage of being adjacent to the recently developing Multifunctional Administrative City of Sejong and having an easy access to transportation infrastructures. The city is developing into Science City with the establishment of Daedeok Research Complex and is playing its role as an administrative city with Government Complex Daejeon along with 10 government offices, such as National Statistical Office and Public Procurement Service, being located within Daejeon. With our powerful search tools and marketing solutions, Kompass can help you better understand your marketplace and to generate leads as well as promote your company online towards a targeted audience. 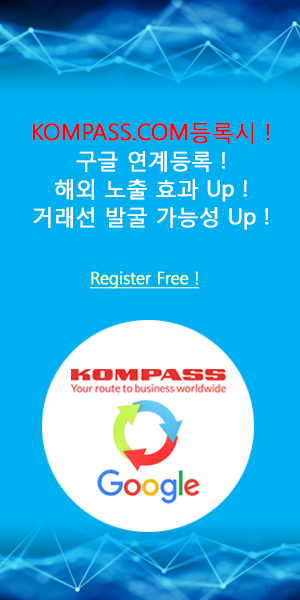 Find out the detail information about South Korean companies in Daejeon which is registered in the Kompass B2B worldwide database.